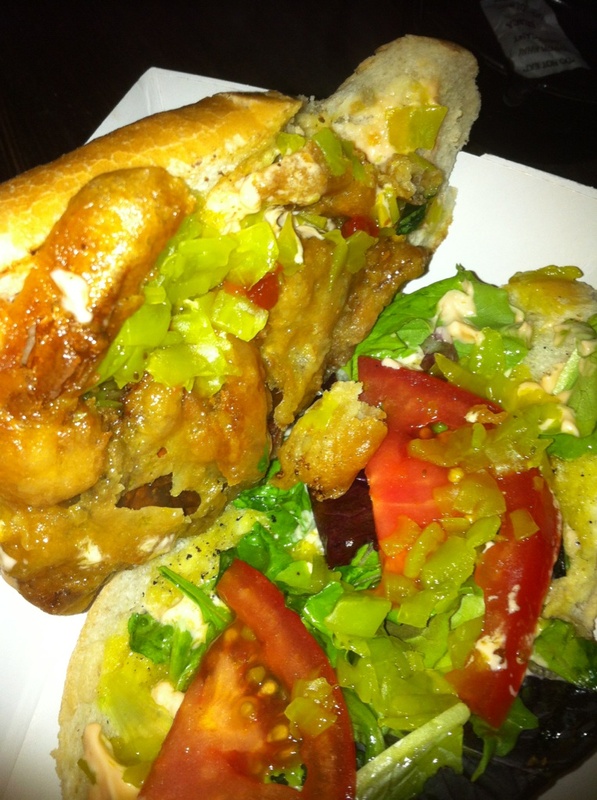 Soft Shell Crab Sandwich ($10): A nice big baguette roll, crispy on the outside, soft in the middle. The crab looked like a tempura fried soft shell crab. Fresh tomatoes and greens, chow-chow (think pickled cabbage relish) and a Cajun hot sauce aioli finished the sandwich. To be perfectly honest I wolfed it down. I didn't get crab in every bite, but you can't expect that from a soft shell crab sandwich. I did get a lot of good crabby bites though. Synopsis: yummy, you should eat this or you'll be crabby. 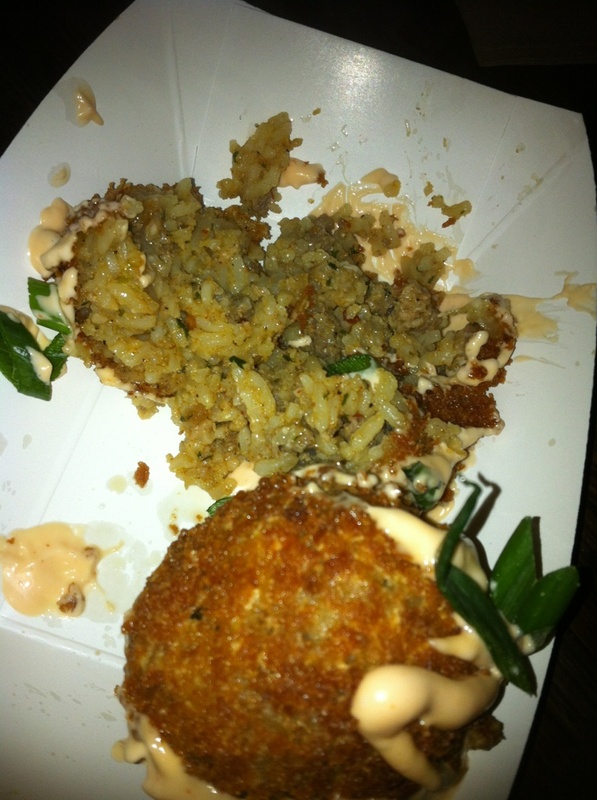 Boudin Balls ($6): Two tennis ball size balls of fiery hot boudin. They look breaded on the outside and deep fried to a nice crispy shell. Topped with the Cajun hot sauce aioli. Very good and not for the faint hearted when it comes to heat, these are going to be too hot for some that's for sure. Synopsis, hehe I said balls. Other goodies on the menu we didn't get to try where Tempura Wild Gulf Shrimp Sandwich, Roasted Garlic Boar Dog on a Bun, Vegetable Spring Rolls, and Coconut Curry Mussels. 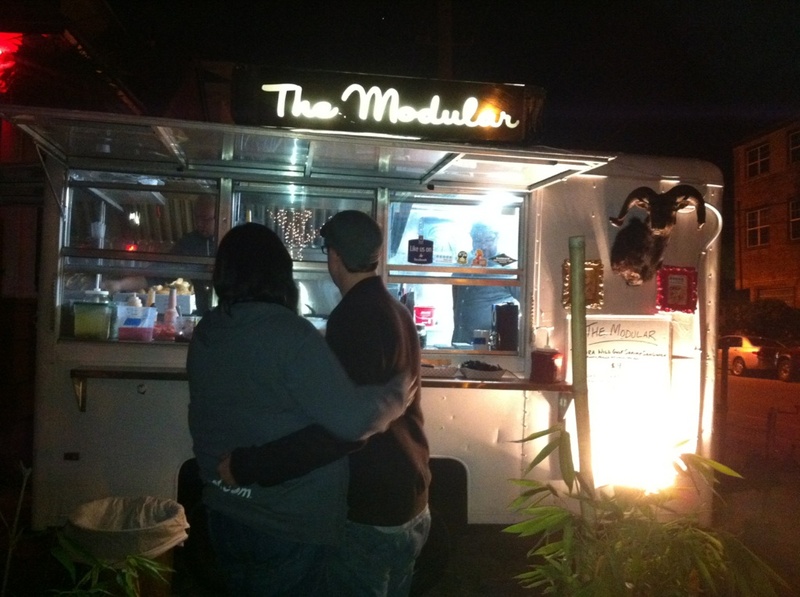 Wrap Up: A lot of this menu looks intriguing and I'll be back to try more from this food trailer. I was looking at the photos they post to twitter and recently they were foraging for wild seabeans (salicornia). Interesting. Feedback of these two dishes are good so definitely rest of the menu will also good. Coconut curry Mussels sounds interesting so I will try this dish.